Happy Monday! For this week's Medal Monday, I am shining the spotlight on Erin. 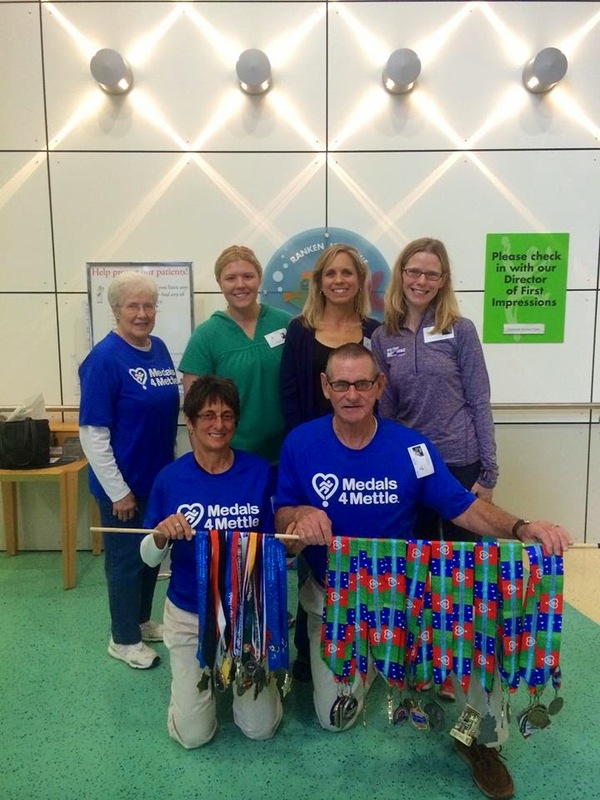 Her favorite medal was earned at the Walt Disney World Marathon this past January. It is her favorite medal to date because it was her 1st marathon, and she didn't think she would be able to it. 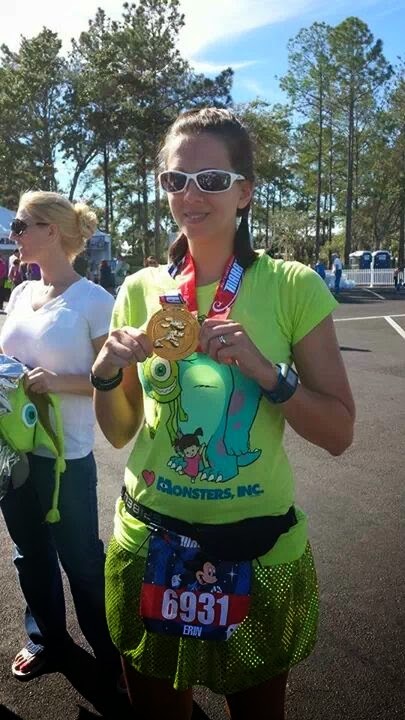 She conquered 26.2 "magical miles" and in the process, ran through all four Disney parks. The 2015 Walt Disney World Marathon Weekend Marathon, Half Marathon, 10K, 5K, and Dopey Challenge have already sold out and the Goofy Race and a Half Challenge is over 70% full! That is a great medal! Can't wait to earn mine in 2015! No problem! Happy to come across other Disney runners like you. Happy training!!!! I plan on doing the Princess Half in 2015. Love disney races they ate just pricey. Great job and congrats Erin!!! Wow awesome bling! Can't wait to see what my run Disney medal looks like!